Following earlier trials, the government-owned ompany said it will test whether speed limits could be increased to 60mph on a Sunday if there is less activity taking place, and then brought back down to 50mph when road workers are near traffic. 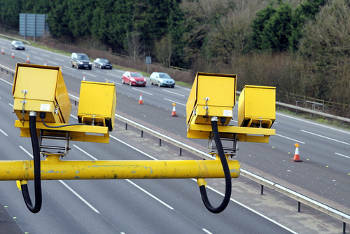 It said it is also exploring whether different speed limits could operate within one set of roadworks. This could mean people on a carriageway nearer the workforce driving to work at 50mph but driving home on the other carriageway at 60mph. Highways England chief executive Jim O’Sullivan said: ‘People understand roadworks are necessary but are also frustrated by them. At the same time we have to ensure as they drive through them that they, and our road workers, are safe. ‘So we are always thinking of new ways to improve journeys at the same time as keeping everyone as safe as we can. That is why over the next 12 months we will test changes to the design and operation of roadworks. Locations for the trials have yet to be agreed. The trials are outlined in the company’s Delivery Plan Update for 2018/19, published on Monday. It states that during the current financial year Highways England will trial variable speed limits within two sets of roadworks. During the new trials Highways England will monitor the speed of vehicles and the flow of traffic, look at incident data and gather customer feedback. Highways England usually narrows lanes during roadworks to keep as many open as possible and currently operates a 50mph (or lower) limit in narrow lanes. It said working out whether higher speed limits would be safe might include consideration of the width of the narrow lanes or the type of temporary barriers being used.